Whether you like it or not, smartphones keep getting bigger. 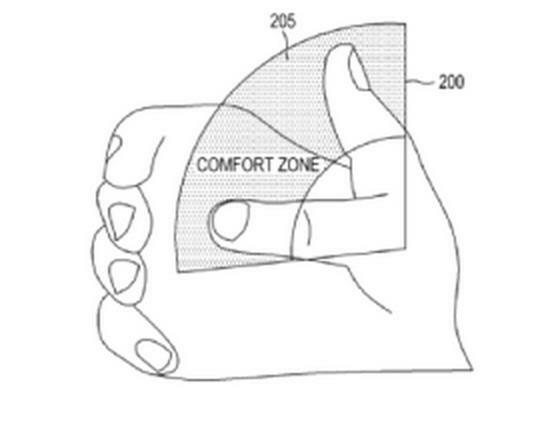 Samsung—which is one of the biggest culprits when it comes to stretching the limits of what our puny human hands can handle—already offers a “tiny screen” mode for navigating the Galaxy Note 3, but a new patent from the South Korean company could solve the problem for good by measuring your individual “comfort zone” and placing all the buttons within that part of your handset’s display. 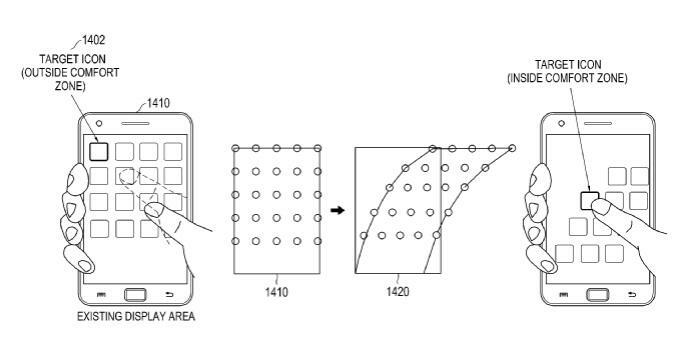 The patent, which was filed with the World Intellectual Property Organization (WIPO) on May 21 and finally approved late last month, details how future Samsung devices could measure your thumb size and place all icons and others controls within easy reach. The result, based on a series of sketches and renderings, is a UI that curves to the side as it approaches the top of the display. It’s unclear if this new feature will ever see the light of day, but even if it does show up in future Samsung phablets it will likely only apply to the company’s own applications, automatically switching back to standard controls when you open a non-Samsung app. 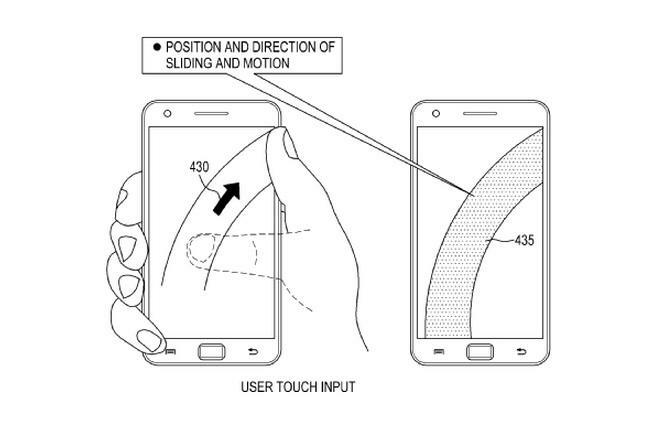 Then again, with the South Korean tech titan preparing the launch its own Tizen OS, the “Comfort Zone” could help distinguish the first Tizen smartphone from the competition, though for now the images in the patent suggest it will hit Android.